In 2017, marketers spent twice as much money on online video content than they did on television adverts. In such a technological age, the internet is now the best way to attract new customers and reach wider audiences. Online adverts have the ability to go viral and be seen worldwide, and they are more affordable to produce and air than television ads. Because online video content is more affordable, it frees up more of a companies budget to focus on the content of their ads, and we’re now starting to see the effects of this in the longer, higher quality ads that use celebrity endorsement or leverage the audience of online influencers. Up until recently, video ads were kept short, usually coming in at about 10 seconds long. We’ve also seen stock video ads come into the market. Here’s an example. These stock videos are cheap and can serve a purpose however they are nowhere near as powerful as long-form ads. Short video ads are also done for a few reasons. First, this is typically the sort of time frame that marketers were used to working with because the cost of TV ads meant that most companies could only afford short, to-the-point ads. Thus, short adverts became the norm. Adverts longer than 30 seconds or so were deemed to be too long and annoying. This impatience is exacerbated when adverts are moved online because web users have more control over their online content than over their television content and quickly dismiss content that doesn’t interest them. On top of that, users have a much shorter attention span on the web than in real life. This is all beginning to change. Brands are now recognizing that internet users are plugging into longer content, as long as it’s engaging. So what’s the quickest way to create engagement? Use influencers. Their followers know, like, and trust them. Long form video content can be used to create a narrative and engage with viewers. One of the most successful ways to create engaging online adverts with a narrative is through the use of celebrity endorsements and social media influencers. Celebrity endorsements are a tried and tested advertising technique. Brands have used sports names, musicians and actors to gain a fan base in TV and print advertising. Now, social media influencers are a new method to focus in on a special interest group. Social media influencers — just referred to as ‘influencers’ — are ordinary, real-life people that have huge followings on platforms such as blogs, Facebook, Twitter, and Instagram. These influencers usually gain their fan bases by posting regular content based around a very specific interest or niche. Common niches include fitness, cooking, beauty, and fashion. Traditional advertising is dying! 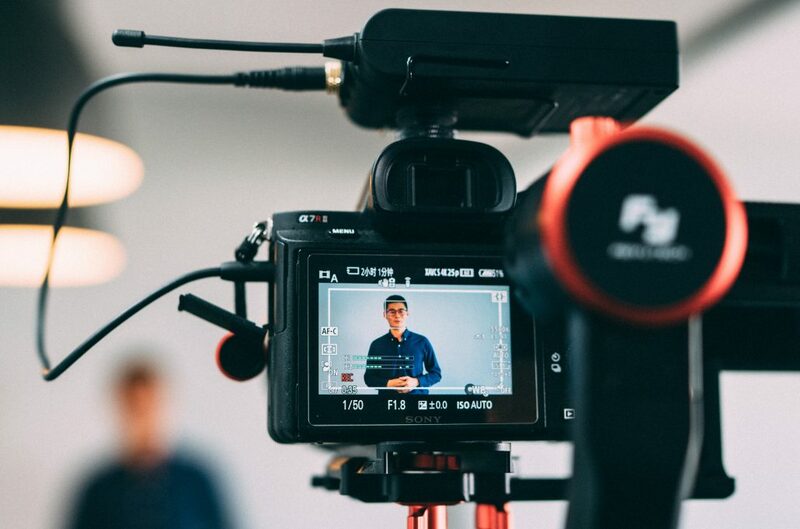 Brands are now using these influencers in online video ads with great success. Using influencers over celebrities tends to be a better option. This is because influencers can be more cost-effective while still reaching huge audiences. Also, because influencers gathered their followings by being real, relatable people, they are often viewed as a trusted and reliable source. The use of an influencer tends to have a more ‘realistic’ element to it. Viewers of your online ad campaign can even watch your advert without even realizing it is an advert. The subtlety of influencer endorsement makes it an overall positive and gentle form of advertising that a celebrity endorsement lacks. This overcomes the barriers that long-form content usually faces and makes for a very successful and profitable campaign.